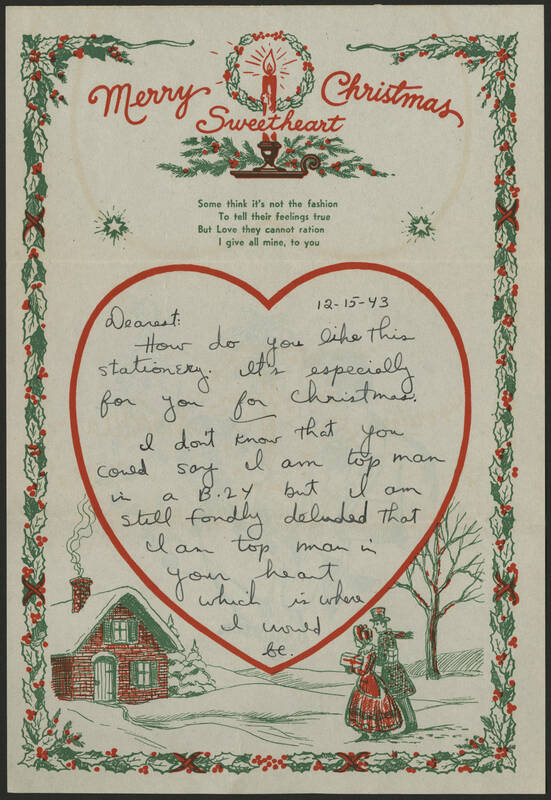 12-15-43 Dearest: How do you like this stationery. It's especially for you for Christmas. I don't know that you could say I am top man in a B-24 but I am still fondly deluded that I am top man in your heart which is where I would be.